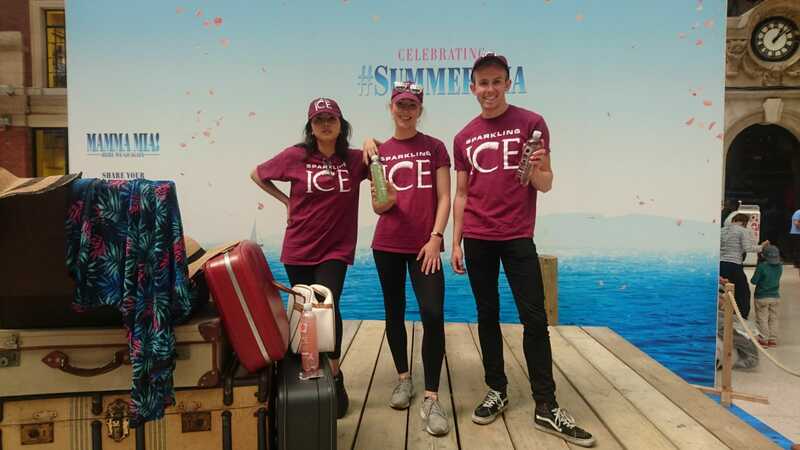 Sparkling Ice had a busy summer on the road, visiting London, Birmingham, Manchester and Glasgow, sampling over 150,000 consumers! 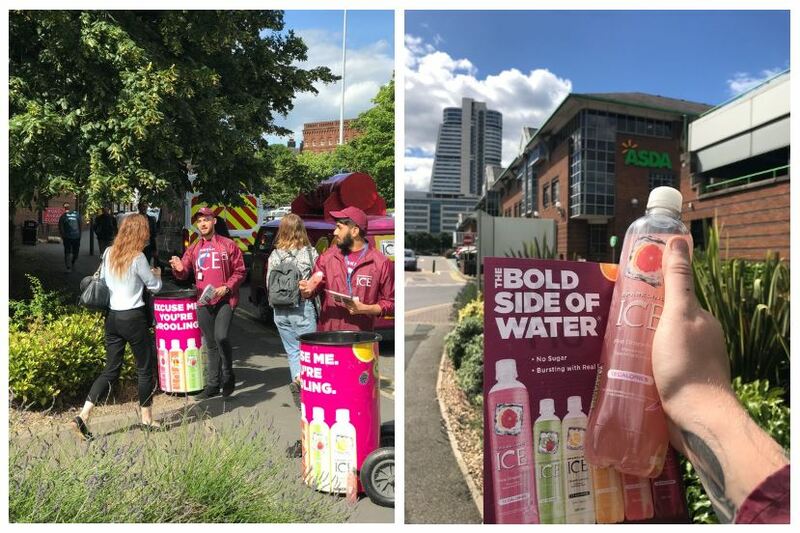 The team delivered the bold side of water to thirsty consumers across UK high streets, shopping centres and train stations, and visited the head offices of Boots UK, Asda, Morrison’s, Sainsbury’s and BP. 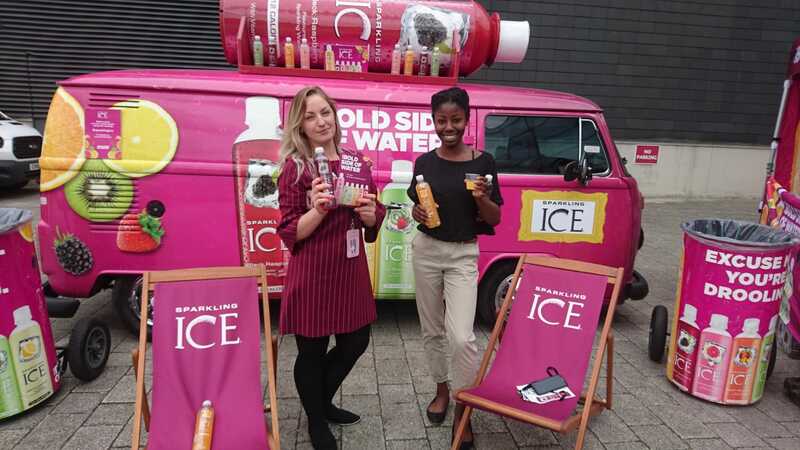 They also supported some fantastic causes, including the Race for Life event in Hyde Park, handing out ice cold samples to runners. One of the highlights was the launch of Mamma Mia 2 with Universal Studios. The team were inside Victoria Station, London offering samples and money off coupons to eager film fans.